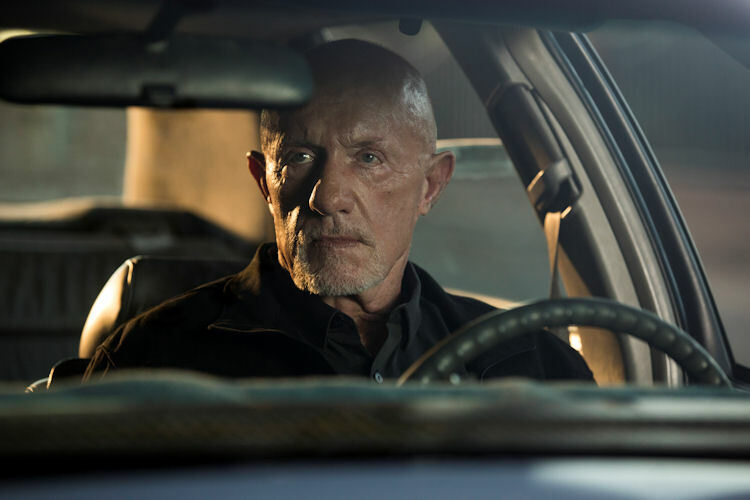 After the explosive events of Chuck getting the goods on Jimmy and Mike’s assassination attempt was short circuited, the third season of Better Call Saul literally picks up from where the finale left off and puts the show back on a low simmer. The most action in the episode comes during the Cinnabon sequence where Gene fingers a young shoplifter out of fear of getting exposed himself, but then blurts out legal advice to the young offender as he’s led away by the police. It’s a little much for Gene to handle, as he later passes out mid-icing. As of this moment there are three orbits in the series. There’s Jimmy and Chuck, Jimmy and Kim, and Mike. Chuck is still quietly seething about Jimmy torpedoing the Mesa Verde deal and more importantly, putting Chuck’s reputation in question. As they work to disassemble the Faraday Cage in Chuck’s living room, Jimmy tries to smooth things over through nostalgia, but Chuck flat tells Jimmy that forgiving and forgetting is not in the cards. Chuck plays the tape for Howard, who casts any doubts about Chuck aside. They both agree that there’s nothing they can do with the tape either to prosecute Jimmy or get Mesa Verde back, but one gets the sense that Chuck has big plans for the tape and he enjoys having his kid brother on a string. Mike’s plotline continues to be both a masterpiece of mood and dialogue-free performance from Johnathan Banks. After the horn incident in the desert, Mike becomes convinced that his ride is bugged. There’s an extended scene of him disassembling his station wagon in a junkyard that is a brilliant demonstration of Mike’s obsession and determination. At first he’s thwarted, before a flash of insight leads to the inside of his gas cap, where he finds a tracking device. Mike does his research, buys a tracker setup of his own and executes a plan to stalk his stalkers. Jimmy and Kim’s working arrangement is off to a rocky start. She’s left handling Jimmy’s clients and their prized lily ponds while Jimmy is off tending to Chuck. 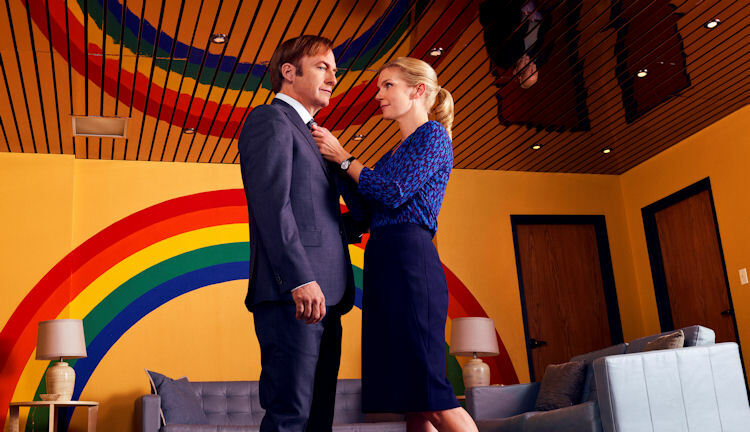 For Better Call Saul, the wheels are slowly turning. 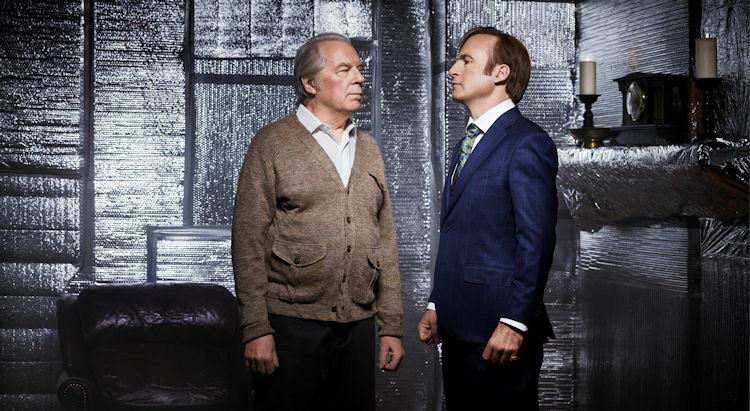 This is the start of what should be another engrossing season of Jimmy McGill’s transformation to Saul Goodman. Next story Agents of S.H.I.E.L.D. Review: Do Androids Dream of Totalitarian States?